Last week when Border Force officials apprehended a 64-year-old man at Heathrow Airport, they made an astonishing find. Underneath a crate containing chilled fish legitimately bound for Hong Kong, was a stash of 600,000 glass eels with a street value of £1.2m. The seizure was the first of its kind in Britain and worrying evidence of a creeping black market taking hold. To even be talking about the illegal price tag on the slithery offspring of the fish officially termed, Anguilla Anguilla, shows how under threat it has become. The European eel was once so abundant that Britain’s great west-facing rivers would glitter silver with the spring tides as its babies (known as elvers) rushed upstream in their hundreds of millions after floating in from their hatching grounds in the Sargasso Sea. The fish was a daily staple for the labouring classes and propped up the river food chain, comprising 50 per cent of the weight biomass of all freshwater fish. In recent decades, though, the European eel’s population has crashed so spectacularly that it is now classified as critically endangered. Even if the elvers still arrive in their millions – last year on Britain’s rivers 15m were caught – this represents a 90 per cent decline across Europe in the past 30 years. As a result, fishing has been tightly controlled in Europe to a short season that runs from February to May – the catch is roughly divided in half for eating and restocking across the continent. Crucially, all exports have also been banned to Asia – where the fish is prized for its supposed strength-giving properties. But this eel prohibition has spawned a huge black market. Last month – separate to the Heathrow arrest – police forces across Europe smashed several major elver smuggling rings and arrested mules trying to traffick the fish out to Asia in specially-adapted suitcases. Still, investigators fear they have only scratched the surface. The potential profits make the business as lucrative as the drugs trade. Kerr, 63, is a former cavalryman from the 17th/21st Lancers. 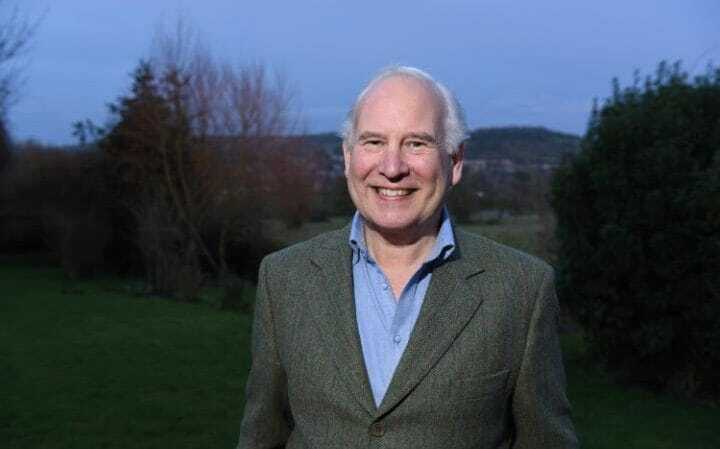 In retirement he has dedicated himself to conservation and was previously the chairman of the Gloucestershire Wildlife Trust. Now he has adapted his regiment’s famous motto “Death or Glory” in the fight for the survival of the European eel. The Sustainable Eel Group, which has a network of 1,000 contacts across Europe, was set up in 2009 by Kerr to try to understand why the fish was in such marked decline and accelerate its recovery. The group is now leading efforts to bring eel smuggling under control across Europe and monitor the extent to which gangs are trying to infiltrate Britain. Through its work some £125m has been pledged to help save the species here – the bulk of which is being used to remove obstacles along waterways that stop the elvers travelling upstream. In late 2015, Kerr led a delegation to the headquarters of Europol in an urgent call for action. Last year an estimated 115 million elvers (33 tonnes) that were legally caught and should have been used to restock other countries in Europe simply disappeared. That amount of elvers is worth 50m Euros on the black market. Once they are smuggled into Asia and left to grow in specially-created lagoons, their value increases ten-fold in a single year. According to Ian Guildford, investigative support officer at the National Wildlife Crime Unit, last year in Spain alone there were 42 arrests and 1,000kg of live elvers seized at airports destined for Hong Kong. The eel, Guildford admits, has something of an image problem. In Spain and, in particular, France the use of trawlers means far more fish are caught – and it is easier for smuggling gangs to operate. In Britain, only hand-held nets used from the riverbank are permitted, and the elvermen must be licenced by the Environment Agency. Somerset’s River Parrett, nowadays, is a model of how the Sustainable Eel Group wants to operate across Europe; combining science, conservation and industry to ensure the survival of the species. The elvermen sell their catch on to licensed buyers who set up for the night near to the riverbank. It is highly regulated, but the frustration remains that one country can only do so much. No matter how much detective work is done on Britain’s rivers, if the gangs continue to scoop up elvers in their millions on the continent then the population crash will continue. Little remains known about the mysterious life cycle of the eel, which after 20 years or so in Europe suddenly hauls itself out of the mud and swims all the way back across to the Caribbean to breed. But those concerned with its plight know one thing for certain. Without urgent action we may soon reach a point of no return – another species rendered extinct by the voracity of our own.